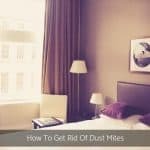 As repulsive as that sounds, the bad news is that regardless of how clean you keep your home, you cannot get rid of dust mites. Dust mites thrive in warm and humid conditions, taking up residence in new sheets and blankets in a matter of days. They stay away from light and hide when exposed. However, the good news is that you can significantly reduce the level of dust mite infestation in your house. 1. Maintain the humidity level – Use a dehumidifier to keep the humidity at 50 percent. You can hire a dehumidifier right here at MiteyFresh for $150.00 ( weekly) and $195.00 (monthly). 2. Clean bedding regularly: Buy bedcovers that are easy to clean and do not trap a lot of dust. 3. Wash bedding weekly – Wash your bed sheets, blankets, pillowcases, duvet covers, and comforters weekly in hot water, using a hot dryer to kill the dust mites. 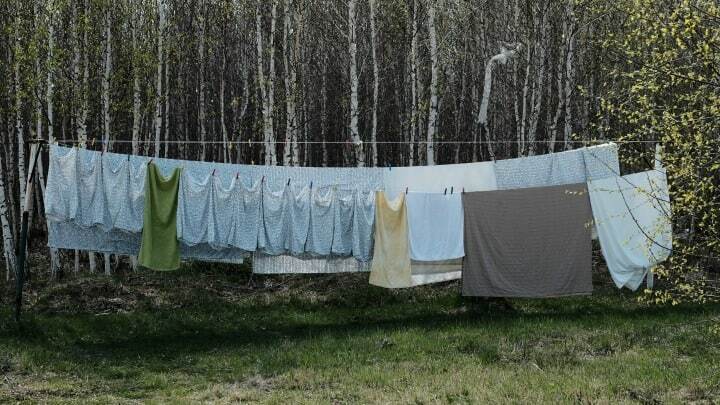 If the bedding cannot be washed in hot water, put it in the hot dryer for 15 minutes at 54 degrees C. Then wash and dry the bedding. Although difficult to achieve in an average home, you can freeze non-washable bedding for 24 hours to kill the dust mites. 4. 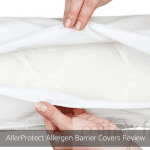 Use dust-mite proof covers – Use allergen blocking covers to encase your mattresses and pillows. The tightly woven fabric of these covers does not allow mites to penetrate, and is soft to the touch. We spend nearly one third of our day in bed! Reduce your exposure to house dust mites and their allergens with dust mite covers. This all-in-one, no-fuss cotton Allerprotect set provides you with everything you need to keep allergens at bay: a system with encasements for the mattress, doona and pillows. 5. Regularly wash stuffed toys: Wash all soft toys in the house, allowing them to dry thoroughly. 6. 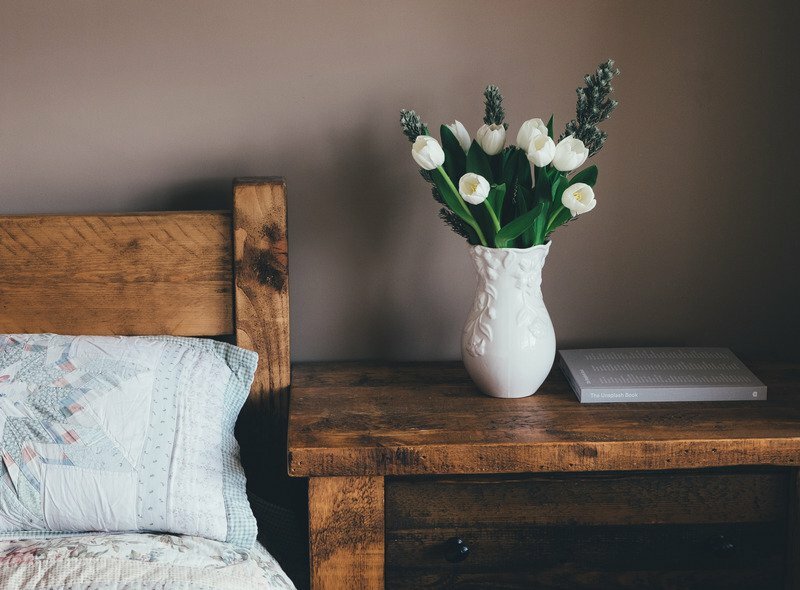 Replace old pillows: Before you encase your pillows in dust-proof covers, it may be a good idea to buy new pillows, especially if your existing ones have been in use for several years. 7. Remove carpets: If someone in your family has severe allergies, it is a good idea to remove carpets from your home, especially the wall-to-wall carpeting in the bedroom. Dust mites cannot live on bare wooden or tiled floors. 8. Use venetian blinds: Replacing fabric drapes in your home with Venetian blinds, will prevent dust termite accumulation. To reduce the dust emissions from vacuuming, use a vacuum cleaner with a double-layered micro filter bag. 10. 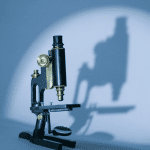 Clear the clutter: Anything that gathers dust, also invites the dust mites. Keep your home, especially your bedrooms, clutter free. Dispose or store away unused/old items such as magazines, newspapers, books, clothes and cushions. Dust mites in your home can cause health issues and is related to asthma, eczema and hayfever. MiteyFresh, Australia has a wide range of dust-mite control products to choose from, including complete allergy bedding sets, allergy free silk quilts, and anti- allergy mattress, pillow and quilt covers. Contact us today for more information on how to make your home healthier and allergen free for your family. 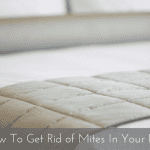 What’s the Difference Between Bed Bugs and Dust Mites?